It’s been a death-intensive year for my family. 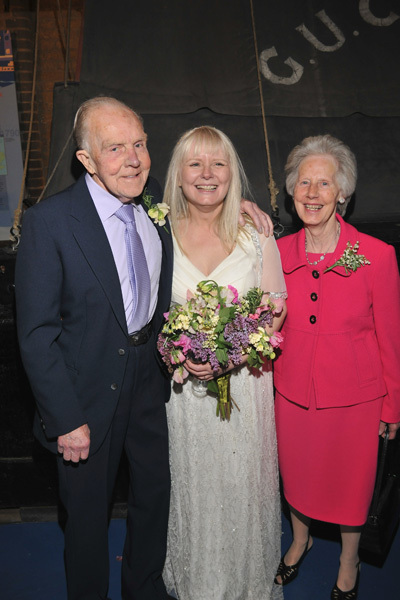 After Dad dying in January, my much-loved Uncle Bill died a couple of weeks ago. His funeral was last Thursday at a pretty church in Hemel Hempstead. The ‘moor’ of Boxmoor is a small green space on the edge of an ever-growing town that has swallowed up the cottages and cowslips of my Mum’s 1930s childhood. When I was small, heading to the millpond by the canal with a fishing net, it was a wild expanse of trees. Probably with bears. So it feels timely that a poem I sent to the fun Verbatim Poetry site back in the summer inspired by, yes, death, has just been posted. The Verbatim Poetry idea is to add punctuation and spacing on to non-poetic text, from ‘road signs to shampoo bottles.’ It is, I warn you, addictive. As well as editing any text in front of me, I now scan it for verse potential, which often means talking aloud to myself in shops and other public places. I took my poem – Floral Tributes – from the excellent and informative handbook produced by the Natural Death Centre. Up until today I felt I’d lost my regular blogging ability. The Weekly Blog Club was such a wonderful impetus. Now found: my own much-needed ‘just get on with it and don’t rely on wonderful Janet E Davis to encourage you’ push to post regularly again. 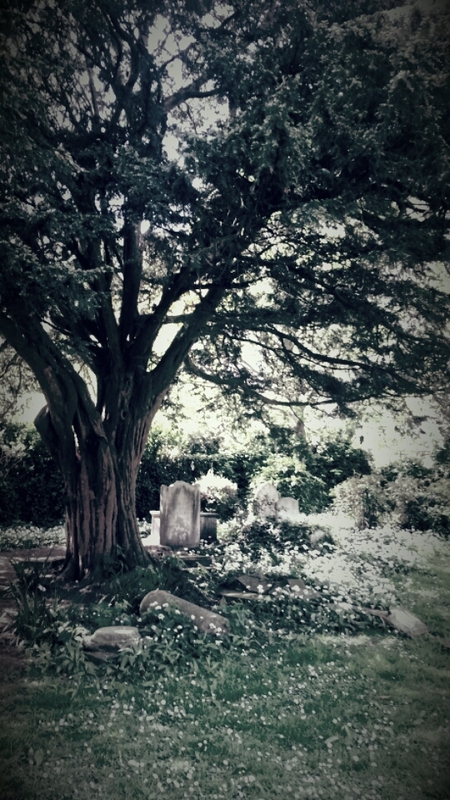 By the way: the photo is a different churchyard: St Eanswythe in Folkestone on a summer’s day. Definitely my favourite saint with superpowers as she made water run up hill. Here is a wonderful description of another favourite and local to me cemetery, with some stunning photos – the gloriously gothic Tower Hamlets Cemetery Park: visited by The Gentle Author of Spitalfields Life on a a misty winter morning. Beautiful and moving. And that’s enough death, thanks. No, no skulls in a brown paper bag or zombie food in an insulated box. Nothing morbid. Morbid. That’s the word I ran into, again and again, when I said I was going to my first Death Cafe. ‘Morbid’, said my mum and daughter and the man at the underground sweetie shop. Underground as in Tube: nothing morbid. It’s possible I might not have picked up on the idea of an event where people meet to eat cake and talk about death, had it not been for my dad dying. I found myself reading more about death online and went to the first #DeathSalonUK (attracted by the idea of intellectuals gathering, I admit.) I read about Dying Matters’ Awareness Week, well underway this week with stacks of impressive national print, broadcast and online coverage. Raising the subject of death has invariably met with a shudder and a desire to change the subject among most people I know, in case they catch it or something. Now there’s the feel of something of a cultural shift, where there is more openness in acknowledging death. I’m sure there’s plenty of research into whether it’s the case but I think so (QED.) Huge hat tip to whoever came up with #YODO, by the way: You Only Die Once. Inspired. So, I decided to go to Cafe Rouge at Hampstead on Monday. There’s a cultural shift for a start, when you live in Stepney. Rather a dearth of fried chicken and sari shops in Hampstead. Cute coffee bars and designer clothes shops and sunshine combined to help my cheerful mood but I know that having my mind on death honestly contributed. I fairly skipped along, in a ‘Hello, busker! Hello, prep school kids! 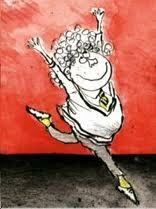 I’m alive!’ cross between Monty Python and the Holy Grail and Fotherington-Thomas from the sublime Molesworth books. The upstairs room was packed, mainly with women of all ages. There were large tables and smaller ones: I chose a table for four and am glad I did. 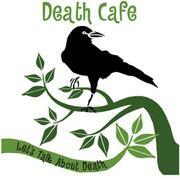 We started talking almost straight away, before organiser Josefine Speyer rang her little bell to say this was the first anniversary of Death Cafe at that venue. She explained there was no agenda for discussion and that each table had a facilitator, who each identified her- or himself. With growing interest in Death Cafes, there were a number of journalists present, Josefine said. I wondered if it might be like the mythical Ku Klux Klan meeting, where every sheet hid an undercover reporter, but they all stood up and said they’d be happy to speak to anyone who wanted to afterwards. Anyone who didn’t want to be photographed could also stay off camera. My table had a journalist, who was frank, charming and made a real contribution to the discussion. We four talked families and funerals and how we did NOT want to die (in pain and without any capacity for choice.) One woman was wonderfully pragmatic; her instructions for conveying her to the Dignitas clinic are in a cupboard but I’m not telling you which one. We laughed quite a lot. After about an hour and a quarter, which sped by, there was a general session to offer views. One man thought the waiters were obtrusive. ‘Antonio? Never!’ cried everyone else. My own happy highlight was nervously raising my plan for Dad’s ashes next month, which my table liked. Relief. They’ve been at the undertaker’s since January and I haven’t been able to raise the subject with Mum. This week gave me the impetus to do so. He adored watching the Red Arrows and never missed a display: when they fly over at Folkestone Air Show next month, we’ll be near the cliffs and he can join the coloured smoke trail in the air. Dying matters. Let’s talk about it. I can’t think of a more beautiful epitaph. I stood behind a banner with those words on, at Westminster this morning. The amplified voice of Tony Benn’s son Stephen described how his father never judged his children, but always encouraged them. I didn’t give a eulogy at my Dad’s funeral and I didn’t cry. 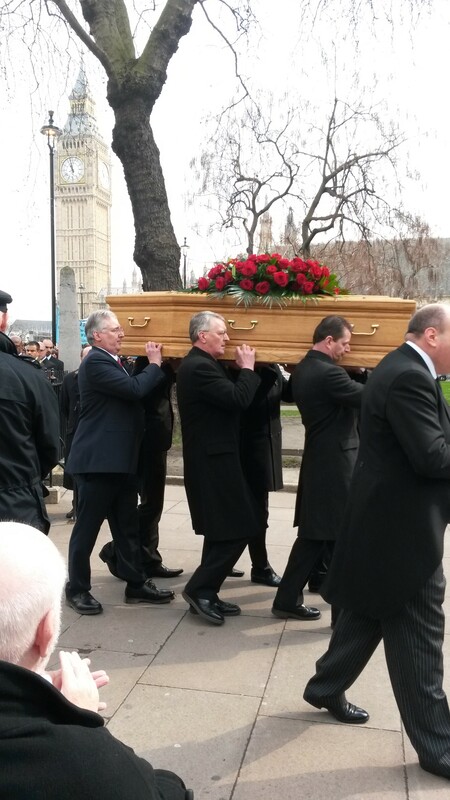 Maybe that’s why I was in tears, as people clapped the rose-covered coffin, Big Ben struck noon and the sun came right out. 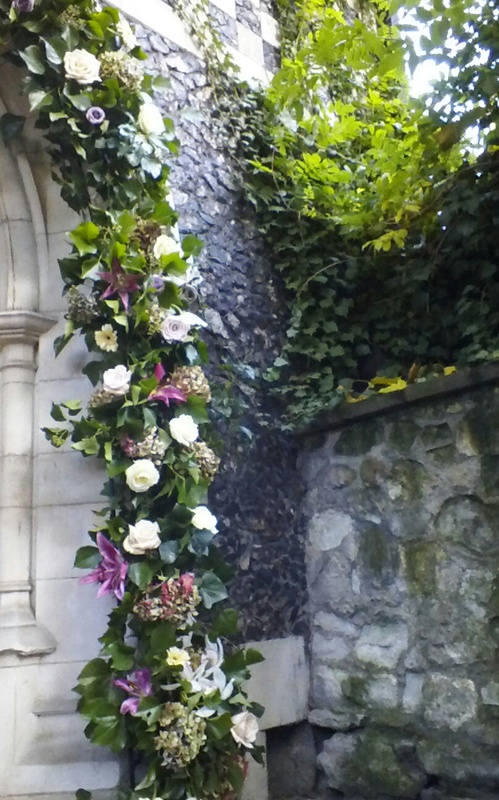 I first went to the church years ago, when I lived nearby in the Barbican. The Cloister Café is gorgeous: I had tea there a while back with esteemed artist and illustrator Gareth Hopkins. Then, not long before Christmas, after a Bart’s hospital trip (for a first mammogram – ouch – but just do it, if you haven’t and should. Saves lives and all that), I went for a restorative mince pie with my husband. The prompt for this post was a Twitter chat with the Queen of Storify, Kirsty Marrins. She’d noted a comment that someone hadn’t thought the Shard worth a visit as there was no wi fi. Kirsty, I think rightly, wondered if this was because he or she (or an organisation, I don’t know) couldn’t immediately share their experience with Twitter, Facebook or Instagram. I’ve already posted about leaving Facebook. Lack of a smartphone means I tend not to post many real time photos on Twitter as using the front-facing camera on my Kindle (non-3G) tends to bring on nervous collapse and whatever I wanted to snap has long gone by the time it’s sorted. On the positive side, I have never had so many photos of my hair. I try to be in the moment and enjoy what I’m doing, or at least experience it. I posted about my Dad’s funeral last month; although I can’t say I actually enjoyed it, there was a freedom from trying to record what was going on that felt liberating. I mentioned to Kirsty about a cliché that I’ve seen for myself: tourists who only see the Mona Lisa through camera lenses while they stand in front of it in the Louvre. I’m so advanced in years that at university, camera films had to be sent off in envelopes to be developed. I have albums full of early photos of my daughter and comparatively few of her since I started taking digital pictures. All those processed, over the counter pics somehow mean more than the gazillions of digital shots that I’ve barely ever looked: such as those above. I didn’t take them for instant posting but I hadn’t got around to looking at them until I just scanned my Kindle to see what was there. According to 2011 stats from the Digital Photography School, of the 50,000 of the people they surveyed, nearly half took between 20 and 250 photos a week. I bet that’s gone up since. I managed a reading in church on Wednesday’s funeral and was neither struck down by lightning or responsible for knocking over the coffin, which I hadn’t realised would be at the end of the pew I needed to exit. I got through Abide With Me without howling too much and read the standby crematorium poem – Remember, by Christina Rossetti – when my daughter couldn’t face speaking. She recovered enough to polish off countless scones and sandwiches at a tea organised with kindness and tact at Wards Hotel in Folkestone. The room was packed with people telling me how kind Dad was and how much people liked and respected him. The printer who produced the order of service recognised Dad’s name and photo, remembering his insistence on a coffee break at 11am and opening of his packed lunch at 12 noon as the immovable rights of a print union member. Mrs Thatcher would have hated my Dad. There were blue hyacinths and Frank Sinatra and incense that may possibly have been swiped by a priest from a royal building. I couldn’t possibly comment. 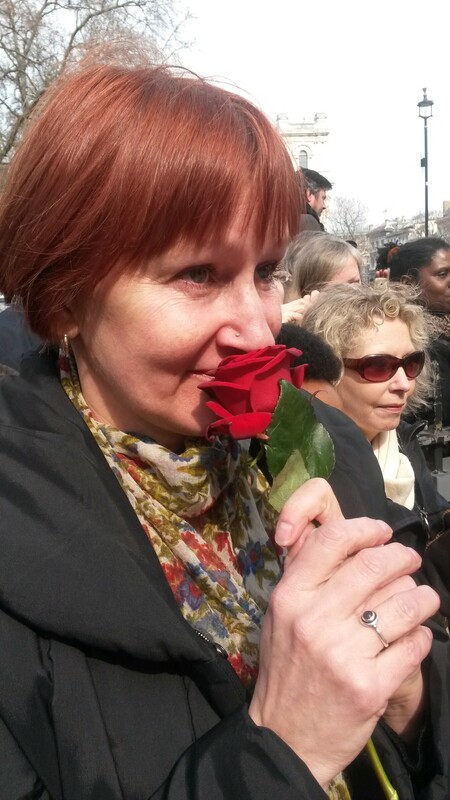 And just look at the lovely woman who walked in front of the cortege, Julie Farrier. Admittedly the chihuahua had to stay behind in the office but you can’t have everything. This afternoon I went to see my Dad, at a funeral directors’ chapel, in the oak mass-produced coffin Mum and I chose. I wanted a wicker one but was over-ruled on the grounds that it looked like a picnic basket. Mum was also adamant that she did not want a ‘humorous’ funeral (English translation – Humanist.) She’s always been a modern-day Mrs Malaprop and has been telling friends and relatives how Dad slipped away in his sleep last week, despite the doctors’ attempts to resurrect him. No matter how many times I mutter ‘resuscitate’, she’ll carry on. The last week’s been all phone calls and form-filling, priests and solicitors and sympathy cards. My favourite moment away from it all came when the lady in the cat sanctuary charity shop advised me, “Tell your mum to replace it as soon as she can.” I explained she had possibly misheard ‘Dad’ as ‘cat’. Much as I’d like the gap left by 59 years of being together to be filled by a tabby, I don’t think it works like that. I’ve sorted flowers, recce’d hotels to arrange a tea for 80, written Orders of Service and discussed Bible readings (as an atheist.) Dad was a devout Catholic for 85 years, apart from a brief lapse during National Service in Egypt, to which his formidable mother put a stop on his return. I don’t know what he got up to and now I never will. So there have already been requiem and other masses requested by friends, with a full-on service next week. I haven’t had much experience of dead people. I took a defiant glimpse of my grandad, against my parents’ wishes, when I was a teenager and spent several hours a few years ago beside a friend in his coffin at the London Buddhist Centre. My own views of undertakers were largely informed by Jessica Mitford in The American Way of Death and Evelyn Waugh. I wrote a rubbish thesis on Waugh (rushed so I could spend the summer term watching cricket) and admire his writing beyond telling. The tear-inducing sight of Dad’s delight in hospital at a priest coming to give him communion – when he no longer really knew who I was – has to be the closest to Lord Marchmain’s Brideshead Revisited death scene that I’ll experience in working class 21st Century Kent. I’d supposed we would have to deal with someone like Mr Joyboy. I didn’t expect warm, funny, sarky female funeral directors, who have treated us with genuine care and concern. Mum had dreaded today. Once she saw Dad in his suit, with the lilac shirt and tie that he wore for my wedding three years ago, all that dread went. All she could say was ‘It’s no wonder I fell in love with him.’ Then she hugged the funeral director for cleaning his nails nicely.